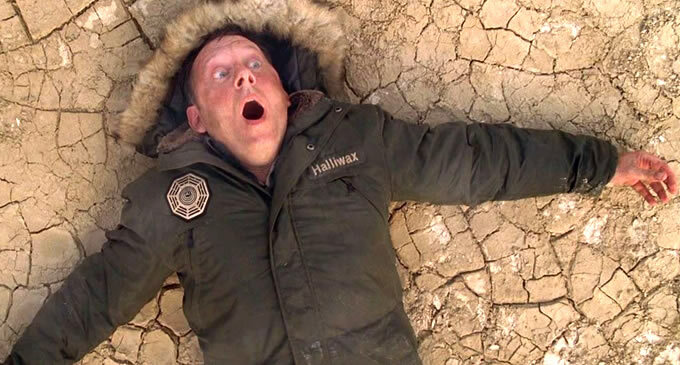 Actually, I wanted to call this post: “Prestashop 1.6: The Shape of Things To Come“, establishing an analogy with the glorious Lost episode in which, for the first time in years, Ben leaves the island through that weird millstone. The question was establishing a parallelism. 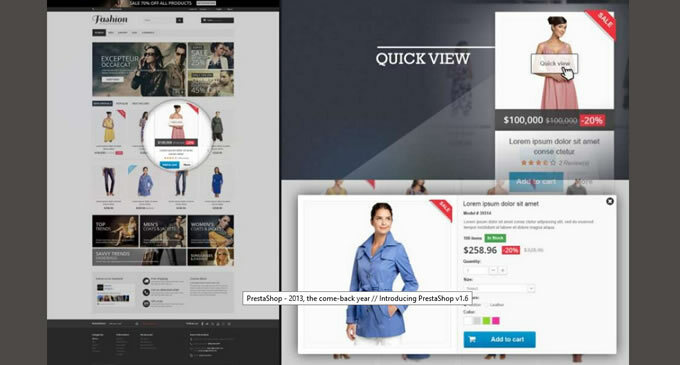 We have been on Prestashop 1.5 island for some time now, and it looks like we are going the get out and see 1.6, which, going by this Prestashop sneak peek, looks great. Lots of care have been taken with the graphic aspects of both the front office and the back office, and they have worked hard on responsiveness, so that both front and back office stretch and contract and adapt to all kinds of screen. There’s just one thing that worries me: graphic aspects were also taken care of in 1.5, particularly in the back office, but there was no exhaustive testing, so problems started. Let’s hope this won’t be the case this time. Another thing that worries me is that I see no SEO or WPO improvements. The latter is all right, because in the change from 1.4 to 1.5 the core was turned upside down to improve page loads and database calls. But I don’t think that including no SEO improvements, be it in the back office or in the default template, which has serious flaws, is a good policy. Let’s hope that they will include some positioning improvement. Rich menu: finally an adaptation in the famous “BlockTopMenu” core which made it possible to create cool menus, such as this, this, or this one. Let’s just hope that when it comes to positioning you don’t need to have a master’s degree in CSS, as was the case with the “BlockTopMenu”. 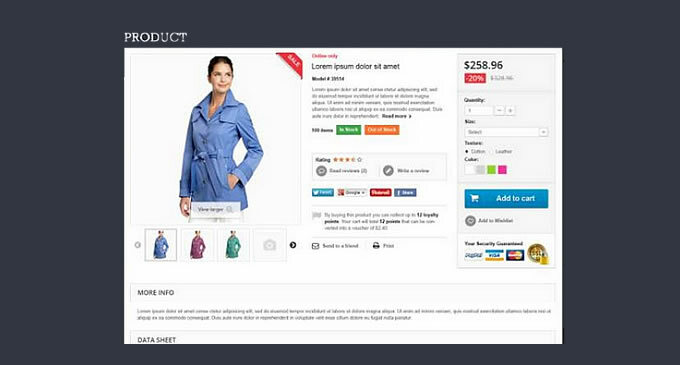 An improved drop-down menu: it includes thumbnails and products attributes in a visually adequate arrangement. Quick View: highly necessary and a very good UX improvement. By clicking on one of the features products in the home page we will open a layer with its product information sheet in quick view format so we can buy. UX and CRO in the home page, finally. Preview of the attributes in the category pages: again, finally! Finally we can see product attributes (color, size, etc.) 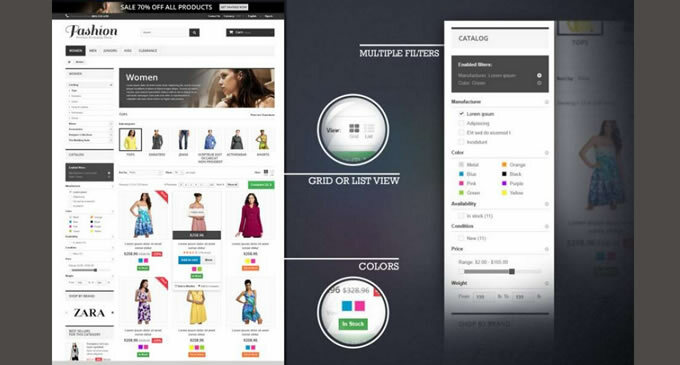 in the grid list or view of the product category pages, and we can also see whether they are in stock. 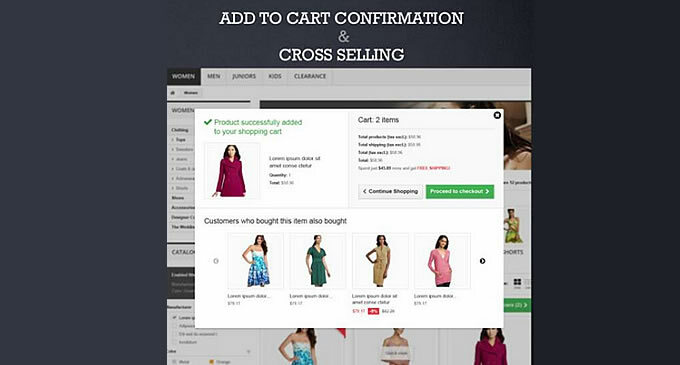 Confirmation of shopping cart addition and cross selling: every time we add a product to the shopping cart a layer pop ups to tell us that the product has been added, that we can keep buying or go straight to the checkout, and other products are suggested by means of the cross selling module. More CRO. Spot on. I hope they will hurry up and bring it out soon. I, for one, am dying to mess around with it. Thank you for writing this article! We love your involvement and dedication to the PrestaShop software. Email me at xdt(at)prestashop.com so I can include you in the list of early testers for PrestaShop 1.6. I should be able to send you the alpha version very soon!